/mo. for 12 months. 12 month term agreement required for Prism. Offer, plans, & stated rates are subject to change and may not be available in all areas. Requires AutoPay/E-Bill enrollment. The CenturyLink Prism TV Preferred + High-Speed Internet + Home Phone Unlimited Bundle gives you peace of mind knowing you only pay one low monthly price for CenturyLink High-Speed Internet, CenturyLink Home Phone, and CenturyLink Prism TV. CenturyLink Prism TV Preferred gives you over 320 digital channels including locals, High-Speed Internet download speeds up to 10 Mbps, and unlimited local and nationwide calling at your convenience. Take advantage of this offer right now at just $116.89 per month. Service and offer are not available everywhere. Rate is available to new CenturyLink High Speed Internet (“HSI”) customers who sign. Offer pricing can change at anytime. Customer must enroll in CenturyLink AutoPay service (monthly automatic bill pay on account) within the specified promotional timeframe to be eligible for rate. A one-time activation for HSI and Home Phone and professional installation fee for HSI (if selected) applies; self installation is available at no charge. After 60 months, standard monthly rate will apply. If customer elects to lease a modem from CenturyLink, a monthly fee will apply (S&H applies). Rate excludes taxes, fees and surcharges which are based on standard, not promotional, rate. If customer cancels one of the required bundled services during promotion, all promotional rates are void. Customer must remain in good standing and offer terminates if customer changes their account in any manner. Credit approval and deposit may be required. Additional restrictions may apply. CenturyLink may change, cancel, or substitute offers and services, or vary them by service area, at its sole discretion without notice. All products and services listed are governed by tariffs, terms of service, or terms and conditions posted at centurylink.com. See centurylink.com/help for taxes, fees and surcharges. HSI: Customers must accept HSI Subscriber Agreement prior to using service. Listed broadband speeds vary due to conditions outside of network control, including customer location and equipment, and are not guaranteed. Direct connection and speed claims are based on CenturyLink providing HSI customers with a dedicated, virtual-circuit connection between their homes and the CenturyLink central office. Unlimited Nationwide Calling: Service applies to 1 residential phone line with direct-dial, local and nationwide long distance voice calling from home phone, including Alaska, Puerto Rico, Guam, and U.S. Virgin Islands; excludes commercial use, call center, data and facsimile services (each may be billed at $0.10/minute), conference lines, directory and operator assistance, chat lines, pay-per-call, calling card use, or multi-housing units. Usage will be monitored for compliance and service may be suspended/terminated for noncompliance. An additional charge may be assessed to customer if usage consistently exceeds 5,000 minutes/mo. International calling billed separately. Service and offer not available everywhere. 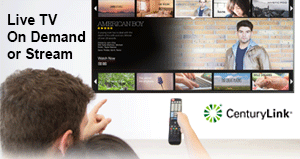 Rate is available to new CenturyLink Prism TV and new or existing High-Speed Internet (HSI) customers, elect CenturyLink AutoPay service. Offer pricing can change at anytime. After 6 months for Prism and 12 months for Pure Broadband, standard monthly rate for each will apply. Customer must contact CenturyLink before the end of the applicable service promotional period to avoid monthly charges or fees will apply until service(s) are cancelled. For Pure, a one-time activation and professional installation fee (if selected) applies; self installation is available at no charge. If customer elects to lease a modem from CenturyLink, a monthly fee will apply (S&H applies). Rate excludes taxes, fees and surcharges which are based on standard, not promotional, rate. If customer cancels one of the required bundled services during promotion, all promotional rates are void. Credit approval and deposit may be required. Rates, packages and programming are subject to change without notice. Additional restrictions may apply. CenturyLink may change, cancel, or substitute offers and services, or vary them by service area, at its sole discretion without notice. All products and services listed are governed by tariffs, terms of service, or terms and conditions posted at centurylink.com. See centurylink.com/help for taxes, fees and surcharges. Pure: An early termination fee (based on remaining number of months of service) will apply if service is cancelled before end of term. Customers must accept HSI Subscriber Agreement prior to using service. Listed broadband speeds vary due to conditions outside of network control, including customer location and equipment, and are not guaranteed. 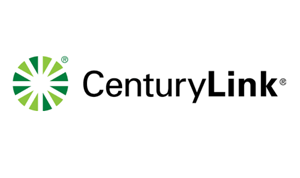 Direct connection and speed claims are based on CenturyLink providing HSI customers with a dedicated, virtual-circuit connection between their homes and the CenturyLink central office. Prism: An early termination fee multiplied by the number of months remaining in customer’s then-current term commitment, if customer terminates Prism service before the end of the applicable term commitment, will apply. Subscription to Prism service in certain Prism territories may require a separate local phone service and preclude customers from purchasing high-speed Internet services from any third party. Local channel availability varies by market. Of the 4 video streams per customer residence, customer’s location will determine both HD availability and the maximum number of HD video streams (between 0 and 4) a customer can view and record in HD at any one time (remaining streams will be standard definition) regardless of the number of STB’s in the household. Additional charges will apply for additional programming packages, movie channel subscriptions (except for certain movie subscriptions included in Prism Preferred or Premium packages), Pay Per View movies and events, On Demand purchases, and premium services/subscriptions for all plans. Caller ID service must be purchased separately to enable the on-screen Caller ID feature; Caller ID feature is not available in all areas. CenturyLink-issued equipment and professional installation are required. Professional installation provided at no additional charge for standard install; other fees may apply for abnormal situations. Included equipment will vary and be determined by Prism package selected. Equipment Return Policy (30 days after service disconnect; applicable charges for unreturned/damaged equipment) applies; see Prism terms and conditions at centurylink.com. Wireless Set-Top Box (WSTB): A monthly recurring fee and a one-time surcharge per WSTB requested will apply for all Prism Packages; limit 3 per household. Surcharge is non-refundable after first 30 days of service and is not considered purchase of equipment. Additional restrictions may apply. Prism on the Go: Prism on the Go offers content through the centurylink.net portal, programmer-supplied apps (e.g., HBO GO®), and an internal facilities-based app (Prism TV app). The content accessible to individual subscribers depends on their Prism package, device, location, and how they are accessing the content and will vary accordingly. Third-party terms and conditions apply to programmer-supplied apps. Prism TV Mobile App: Certain content can be viewed within subscriber’s home only. Download and viewing ability requires subscription to a Prism TV package, qualifying device, and Wi-Fi connection when away from home. Terms and conditions apply. A one-time voice activation fee will apply to home phone subscriptions including Digital Home Phone services. For Home Phone services bundled with Fiber Internet offers only: During a power outage, you will not be able to place or receive any calls, including 911 calls, unless you have functioning battery backup power available. Customer is responsible for having and maintaining battery backup. Basic Phone: Applies to one residential phone line with direct-dial local voice calling only; excludes commercial use, dial-up internet connections, conference lines, directory and operator assistance, multi-party conference calls, or other non single path person to person conversation or voice message. CenturyLink reserves the right to move a customer on this plan to an alternative plan if usage on the plan does not resemble typical residential, local voice calling. Calling features, nationwide calling, and international calling are not available. Home Phone Plus: Applies to one residential phone line with direct-dial local voice calling, preselected local calling features, and choice of long distance calling service plans; excludes commercial use, dial-up internet connections, conference lines, directory and operator assistance, multi-party conference calls, or other non single path person to person conversation or voice message. CenturyLink reserves the right to move a customer on this plan to an alternative plan if usage on the plan does not resemble typical residential voice calling. Nationwide and international calling available for additional per minute and/or per month charges; all applicable rates are posted to the Website. Economy Pack Plus: Applies to one residential phone line with direct-dial local voice calling, preselected local calling features, and includes 30 minutes Long Distance (Interstate and Intrastate) with $0.05 per minute after the initial 30 minutes. Unused minutes will not roll over to next month. Service excludes commercial use, dial-up internet connections, conference lines, directory and operator assistance, multi-party conference calls, or other non single path person to person conversation or voice message. CenturyLink reserves the right to move a customer on this plan to an alternative plan if usage on the plan does not resemble typical residential voice calling. International calling available for additional per minute and/or per month charges; all applicable rates are posted to the Website. Home Phone with Unlimited Nationwide Calling: Service applies to one residential phone line with direct-dial, local and nationwide long distance voice calling from home phone, including Alaska, Puerto Rico, Guam, and U.S. Virgin Islands; excludes commercial use, call center, data and facsimile services (including dial-up Internet connections, data services, and facsimile; each may be billed at $0.10 per minute), conference lines, directory and operator assistance, chat lines, pay-per-call, calling card use, or multi-housing units. Usage will be monitored for compliance and service may be suspended/terminated for non-compliance. An additional charge may be assessed to customer if usage consistently exceeds 5,000 minutes/mo. International calling billed separately. LifeLine Phone Service: Lifeline is available to residential customers only who qualify based on meeting income level eligibility requirements, and/or is receiving benefits from a qualifying federal assistance program, and requires remaining eligible for the entire offer period. The Lifeline program is a governmental assistance program that provides discounts on telephone service to qualifying consumers in every U.S. state, territory, and commonwealth. The amount of discount and qualifications for participation can vary by state. Consumers may be eligible if they participate in certain federal or state assistance programs or have a household annual gross income at or below 135% of the federal poverty level. Qualifying residents of American Indian and Alaskan Native tribal lands may also be eligible for up to an additional $25 per month of enhanced Lifeline support. Additionally, a discount on the one-time charge for establishing service may be available for qualifying residents of tribal lands through the Tribal Link-Up program. The Lifeline discount is available for one telephone per household, which can be either a wireline or wireless telephone. Lifeline service is not transferable, and only eligible consumers may enroll in the program. Documentation of eligibility is required to enroll. Consumers who willfully make false statements in order to obtain Lifeline telephone service can be punished by fine or imprisonment and can be barred from the program. Digital Home Phone: With Digital Home Phone Essential Voice, Customer will not be able to place or receive any calls, including 911 calls, if the Internet connection fails or becomes degraded, required equipment fails, or customer doesn't have electrical power for the service (unless you have functioning battery backup power available). 911 services may not be available if you change your service location before receiving confirmation from CenturyLink.